SCRIPTUM 2 is published ! Fritz Ostermayer: creativity is overrated! 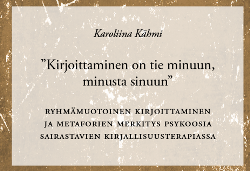 Noora Kaikkonen and Karoliina Kähmi: Creativity and mental disorders – is there a connection? 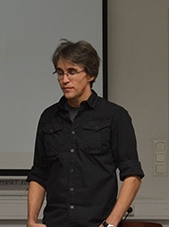 Rubén Abella piti kompaktin työpajan mikrofiktiosta Creative Writing konferenssissa 22.10 Jyväskylässä.EACWn blogisivulla Abella kirjoittaa kirjoittamisen ja valokuvan suhteesta sekä työpajasta. Seuraavassa Maarit Nisun raportti Abellan -työpajasta. Rubén Abella kertoi mikrofiktion teoriasta havainnollisten esimerkkien ja meidän työpajalaisten laatimien tekstien pohjalta. Samoin hän osoitti, ja me harjoittelimme itsekin, miten kuvia ja mikrofiktiota voi yhdistää toisiinsa. Pidin kovasti tästä monipuolisesta ja osallistujat hyvin huomioivasta työskentelystä. Meidän kurssilaisten tuli esitellä itsemme kertomalla vastaavanlainen muutaman virkkeen mittainen elämäntarinamme (jonka kirjoittamiseen ei montaa minuuttia suotu). lehmiämme, ihmettelen, että pitäisikö minun olla jossain muualla. Esimerkkien kautta hahmottui vähitellen se mitä mikrofiktio on ja mitä se ei ole. Tarinan lyhyys ei vielä tee tekstistä mikrofiktiota, mutta on toki yksi sen ominaisuuksista. Abellan esittelemistä teksteistä pisimmät olivat noin liuskan mittaisia. tyypillistä intertekstuaalisuus ja tekstien merkitys voi avautua ja laajentua sitä kautta. Miksi vauvan kengät olivat jääneet vaille käyttöä? Oliko äiti kokenut keskenmenon, oliko vauva kuollut, eikö äiti päästänyt kenkien ostajaa koskaan vauvan luo? Kehittelemissämme tulkinnoissa oli yhteistä haikeus ja surumielisyys, jotka saattoivat kummuta siitä, että kohtalokas never -sana oli liitetty hellyyttä ja toivoa herättävään baby -sanaan. Laran kasvot näyttivät, kun totuus valkeni hänelle. selin kaikkiin muihin, hän pitelee puhelinta korvallaan. Löytyisikö Suomen kirjallisuudessa esimerkkejä mikrofiktiosta? Yksi työpajan osallistujista kertoi, että Aleksis Kivi käytti mikrofiktiomaisia katkelmia pidempien tekstiensä sisällä. Kenties esimerkiksi joku Seitsemään veljekseen sisältyvistä erillisistä tarinoista voisi olla sellainen. Itselleni tuli mieleen Kari Hotakaisen teos Finnhits. Kirjoittamisen ohjaajaja Panu Hämeenaho: “Kirjoittamisen ja hyvinvoinnin suhdetta lähestyttiin monesta eri suunnasta konferenssin puheenvuoroissa. Useaan kertaan esille nousi ns. ”playful approach”, leikki sekä metodina että tavoitteena kirjoittamisessa – ja ihmisen hyvinvoinnissa. Terapeuttisen kirjoittamisen ulottuvuuksista puhunut kirjailija-psykologi Juhani Ihanus (Helsingin Yliopisto) mainitsi leikin mahdollisena tilana (potential space), esimerkiksi liikkumisena edes takaisin fantasian ja todellisuuden välillä. Tällä alueella voimme arvioida vaihtoehtojamme, haasteitamme, pelkojamme ja toiveitamme. 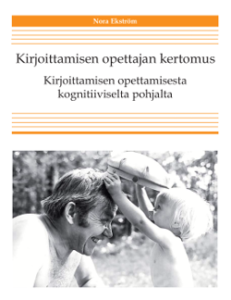 Leikillinen, etsivä kirjoittaminen voi opetusmetodina innostaa opiskelijoita, toimia identiteettileikin työkaluna, samalla tavalla kuin autobiografinen kirjoittaminen voi sisältää tärkeitä terapeuttisia ulottuvuuksia. Ja kai samalla voi oppiakin käsillä olevasta asiasta? Kirjoittajan matkassa-blogissa (Avoimen JYUn kirjoittajakoulutuksen blogi) Panu kirjoittaa kaksiosaisen jutun Creative Writing konferenssista. Ensiksi hän käsittelee Julmaa leikkiä eli luovaa kirjoittamista, sitten Kallen kiipeilypuuta eli lukemista. “Our roots are in the air” was the motto of Philip Gross in the Conference of Creative Writing: Pedagogy and Well-Being Jyvaskyla. SCRIPTUM 1/2015 will be out in January and the speeches of Philip Gross, Alain Andre, Jurate Sisylate, Juhani Ihanus and Fritz Ostermayer will be published there. We had over 80 participants in the Conference. Thank you all, students, writers, poets, authors, teachers, researchers from Finland and different parts of Europe. There are different levels of writing, for example ‘‘literary’’ (product orientation), ‘‘writerly’’ (process orientation) and ‘‘therapeutic.’’ These levels have sometimes been tried to be embedded into a value hierarchy, the first of them being at the top. However, when seen as non-hierarchical and supplementary, they form together the innovative and explorative interlocutory field of writing. The reflective and transformative process of therapeutic writing is presented in this keynote speech. Explorative and expressive writing is modelled as a way of co-constructing, as well as demonstrating and sharing, knowledge and meaning, and therefore as central to both the learning process and the therapeutic process. A playful approach to knowledge and writing posits also the “facts” of science as possessing rhetoric and metaphors. Therapeutic writing can be even added to the student-centered learning while it encourages students to be reflexive about their academic writing through discussion, peer work and reflective writing. For example, autobiographical writing may be a prelude to interactive therapeutic sharing of one’s personal record of experiences. Journal therapy as a form of writing therapy uses expressive and reflective writing to facilitate, through one’s own and owned feedback statements, the identification of areas of unexpressed emotions and thoughts, and the recognition and expression of emotions and thoughts in a ‘‘holding framework’’. It encourages one to communicate more personally about one’s emotions and thoughts, thus alleviating the inhibitive effect of symptoms and depersonalization on expressiveness. It enables understanding and provides insight into one’s life history and current life events and relationships; it attunes the person to a more flexible integration of the changing and co-adaptive conceptions of the self, others and relationships. The autobiographical textuality of the self can be incorporated into more interactive writing therapy, where feedback from others (the echo of the other) further enhances the reality loop (implying successful integration or failure to integrate). Creating self-stories that transcend the habitual, conventional and normative parameters can foster cognitive insights and empowering emotional experiences that pave way for increasingly mindful, caring and sharing life projects and creative transformative efforts. Continuous feedback and constructive evaluation through writing enriches learning and transformative feeling-thinking. Writing is an intense solitary-social and affective-cognitive process. It makes possible to learn from evaluations attached to emotions (pleasure/displeasure) and to cognitions (beliefs about truth and falseness, right and wrong). By writing we can gain meta-emotional assessments of how, when, where and why we feel, and we can learn to self-regulate our emotion-based strategies. The same kind of asset applies to metacognitive knowledge about how, when, where and why we know, and to metacognitive self-regulation. The meta-emotional and metacognitive aspects of human personality and action can be developed together through the experiential-experimental process of writing. Research on expressive and therapeutic writing is a special issue in the field of research on writing. It has given several interesting results on the effects of writing on well-being. These results need to be further evaluated through multidisciplinary studies. Language and mind/brain are not pre-given; they do not constitute a ready-made constellation in humans but go through many-faceted developments in different interactions and environmental contexts. the teaching of Creative Writing in UK universities. 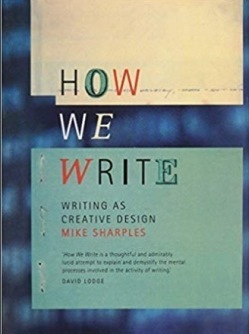 Apart from offering a fertile space for new writers, exploring this space fosters interpersonal and intrapersonal skills, reveals valuable creative paradoxes and maybe, almost incidentally, offers the discipline a fresh way to defend its value in the changing world. Philip Gross is professor of the University of South Wales and creative writing teacher. He’s also award winning fiction writer and poet, who writes for both adult and children. 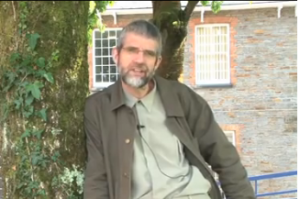 Gross has won several major awards within the last few years such as the T S Eliot poetry prize 2009 for The Water Table, Wales Book of the Year 2010 for I Spy Pinhole Eye and the CLPE Poetry Award 2011 for children’s poetry Off Road To Everywhere. Gross’ new collection, Deep Field, is an exploration of his refugee fathers’ loss of language to aphasia in the last years of his life. 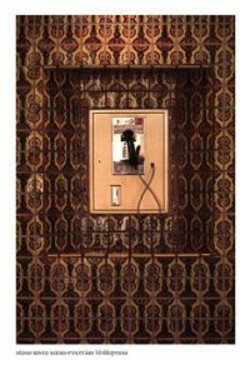 The book was shortlisted for Wales Book of the Year 2012. Alain ANDRÉ: How far our early readings matter for the way we teach? Initial training of creative writing teachers implies a “survival kit” for teaching situations. It also implies a lot of experimenting and sharing about the posture: the way we live in it, its ethics and horizons (it’s more important, by a long chalk). One of the key-points consists in helping young teachers to work around a few blind spots and think about their own situations in this prospect. It includes the ways they manage between teaching and writing or their relationships with knowledge and its transmission. A major one lies in their own situations and attitudes towards reading and literature: what do they read or not? Do they feel legitimate in the literary field or do they feel terrified by the “monster” literature? 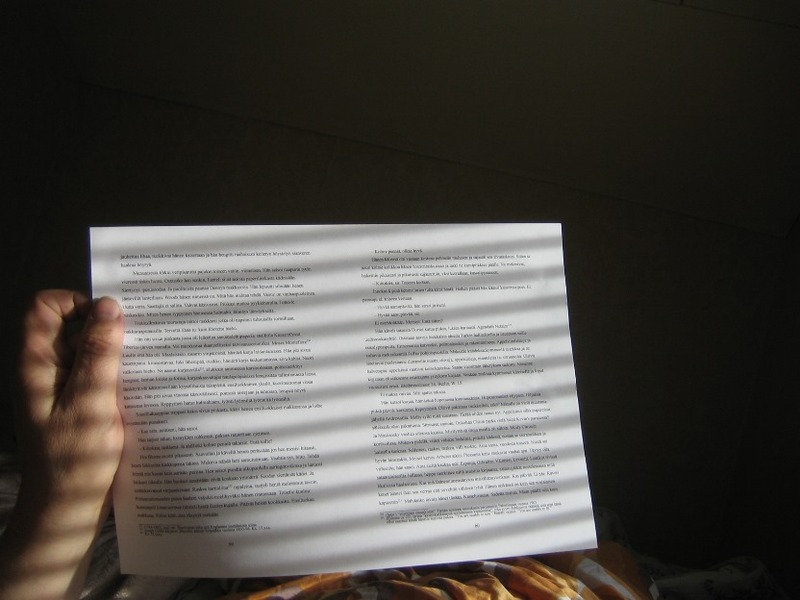 Which tools do they use as it comes to reading complex texts? I’ll argue it’s important for them to dig in their autobiographical experiences with writing of course, but also with reading. Writing and sharing about that is one of the best ways for them to become more conscious of the variety of the possible points of view and to question their own spontaneous literary norm. I’ll develop it as a training method and give a few examples, first of my prompts in this area, then about what I discovered about myself, as I was writing about my own personal readings when I was between 6 and 11 year old – a work still in progress. 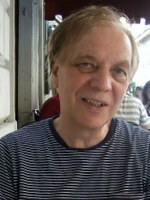 Alain André is a President of the French writing school Aleph-Écriture, that he founded in 1985 as well as a Vice-President of the European Association of Creative Writing Programmes (EACWP). For EACWP, he organized the first International Pedagogical Conference in Paris (2012). 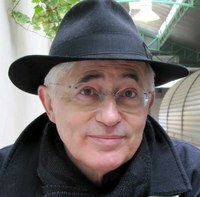 André is the author of novels La Passion, dit Max (2007) and Rien que du bleu ou Presque (2000). He has also written short stories and various essays dedicated to creative writing, such as Babel heureuse. L’atelier d’écriture au service de la création littéraire (1989/2011), Devenir écrivain (un peu, beaucoup, passionnément) (2007/2012) and Écrire l’expérience. Vers la reconnaissance des pratiques professionnelles (2007/2012). André is also one of the main contributors for the numerical creative writing French magazine L’Inventoire. As a creative writer teacher, he accompanies groups of young writers involved in personal projects and trains young creative writing teachers. The first two days, 21 – 22 October, at the University of Jyväskylä will feature keynote lectures, sessions, workshops and round-table discussions. 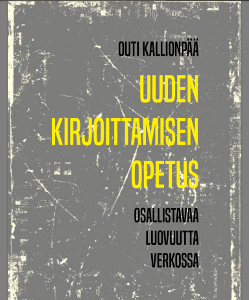 The third day, 23rd of October, will feature an excursion to Pirkanmaa Region and an evening programme at the Orivesi College of Arts / Oriveden Opisto. The last days, 24th and 25th of October, will consist of workshops and lectures by invited guest speakers at the Orivesi College of Arts / Oriveden Opisto. For those who attend the whole conference, we recommend arrivals no later than Monday (20th of October), and departures not before Sunday (26th of October). However, it is also possible to participate in just one or two of the above mentioned functions. The conference has four keynote speakers who will perform their presentations during the days in Jyväskylä. Already confirmed keynotes are Philip Gross from UK, Juhani Ihanus from Finland and Jūratė Sučylaitė from Lithuania. The fourth keynote speaker represents the European Association of Creative Writing Programmes and will be announced later. More information about the keynotes and their presentations is available at the conference website. The participation fee including the programme organized in Jyväskylä is 100€ for EACWP and NAVE members and 125€ for non-members. This also includes catering during the scheduled breaks and related events on 20th, 21st and 22nd October. The participation fee for Thursdays excursion is 52€ including bus transportation and guided visits during the day. The on-line registration form for the days in Jyväskylä and for the excursion will be available on 15th September on the conference website: https://www.jyu.fi/en/congress/writing. Separate registration and payment is required for the workshops and accommodation in Orivesi. Further information about the registration fees and accommodation in Orivesi is available on the website: http://urly.fi/ekF For more information about the programme in Orivesi visit also the Orivesi College of Arts webpage: http://www.orivedenopisto.fi/english/international-courses-and-guest-teachers. To publicize the achievements of the Conference and encourage continuity of these exchanges, and to involve all participants in the presentations to which they had no opportunity to attend, the organizers reserve the right to collect and edit all submissions to be published on the freely accessible websites of the organizers.